Leading Exporter of hdpe d cut bags and t-shirt type carry bags from Vadodara. HDPE D Cut Bags are flexible packaging material made from HDPE/LDPE plastic granules. These are used in textile, readymade cloth market. 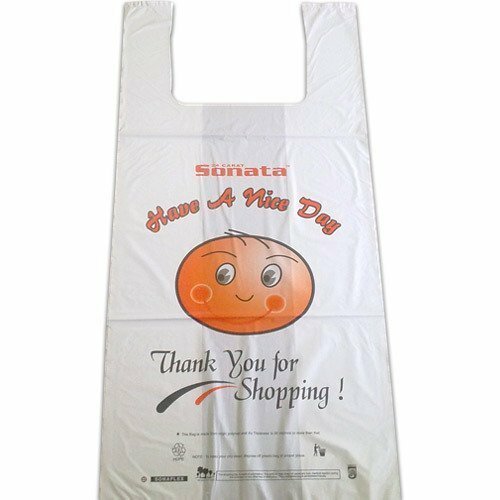 Plastic Bags provided by us are well known for their durability & strength and designed keeping in mind the client's requirements and specifications. Our clients can also avail from these bags at industry leading prices. We bring forth to our clients a wide variety of Paginated T-Shirt Type Carry Bags that is considered ideal for shopping and carrying purposes. Made from a durable plastic material, these are available in variant colors and sizes in accordance with client's requirements. 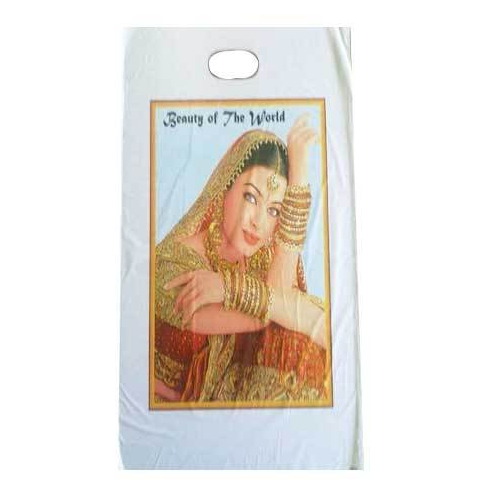 Our range of Printed T-shirt Type Carry Bags is highly demanded in various malls and retail stores.